With so many choices for managing your investments and planning for retirement, it is hard to know who to trust. At Capitol Retirement Strategies we feel that the following characteristics are critical to the success of your plan. Your advisor is entrusted with helping you achieve your financial goals. We think that independence must be the building block that the relationship is built upon. An independent advisor does not work for a bank or large financial firm. They work for you. An independent advisor has the freedom to utilize the best investment and insurance tools for your situation. 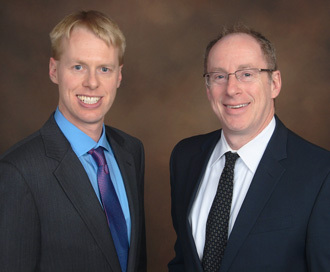 At Capitol Retirement Strategies we are an independent firm. We’ve all heard the statistics on the number of baby boomers retiring in the years to come. In an effort to capture these assets, investment firms big and small have rolled out a “cookie cutter” approach to financial planning. We feel that the proper approach is customized for each and every client. This involves a detailed understanding of investments, insurance, pensions, social security and the myriad of other issues facing a retiree. At Capitol Retirement Strategies, each retirement plan is customized to the needs, desires and risk tolerance of the client. There is no “one size fits all” when it comes to retirement. In medicine, your general practitioner is required to be a jack of all trades. But when you need to have surgery you want a specialist. You choose someone who performs the same operation over and over again. At Capitol Retirement Strategies we specialize in retirement and income planning. We understand the important investment and insurance decisions facing people nearing retirement. We have experience helping people transition into retirement and continue to invest throughout their lives. Life rarely gives you a chance for a “do-over” in retirement. Click HERE to schedule a personal meeting. Click HERE to attend an upcoming seminar. Take this quiz and find out how you score. Episode 48: Old Man Dividend Returns! Registered Representative, Securities offered through Cambridge Investment Research, Inc., a Broker/Dealer, Member FINRA/SIPC in AL, AZ, CA, CO, DC, FL, IL, IN, MA, MD, MI, NC, NV, OH, PA, PR, SC, SD, TN, TX, UT, VA, WV. Investment Advisor Representative, Cambridge Investment Research Advisors, Inc., a Registered Investment Advisor. Cambridge and Capitol Retirement Strategies are not affiliated.